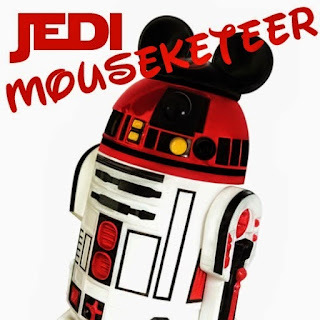 Jedi Mouseketeer: A Look Back at Disney Corporate Christmas Cards 1920's - 1982 see them here! 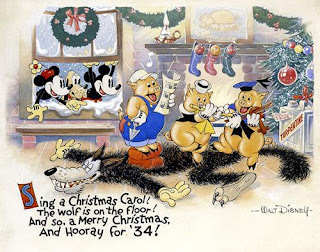 A Look Back at Disney Corporate Christmas Cards 1920's - 1982 see them here! As we celebrate the holidays here at Disney, we thought it would be fun to share images of some of the Disney Corporate Christmas cards of years past! 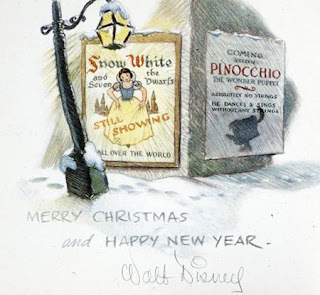 These cards were sent to key players in the motion picture industry and Disney staff members —and therefore have rarely been seen by the general public. 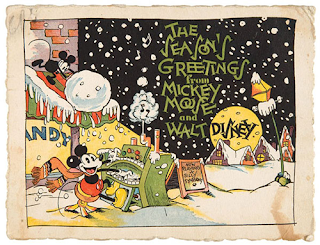 In the earlier years, the art on the cards was centered around Mickey Mouse and other characters that debuted in the late 1920s and ‘30s — but after the release of Snow White and the Seven Dwarfs, the cards would often tease an upcoming release or give a unique seasonal treatment to the current studio release. 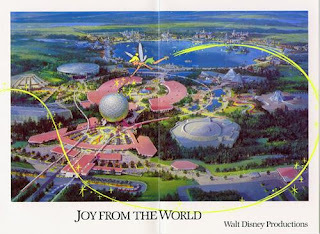 In fact, if you put all of the cards together you could see a fun pictorial history of the output of the Disney Studio. We hope you enjoy these beautiful cards! The first known Disney Corporate Christmas card was distributed in 1930 and features none other than the popular Mickey Mouse. This 1933 card featured the award-winning 1933 Silly Symphony, Three Little Pigs. On the last page of the 1938 card, Walt shows his enthusiasm for the success of Snow White — as well as the optimism for Pinocchio, which would be released in 1940. 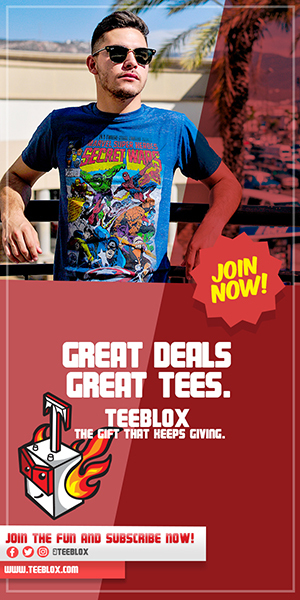 Every kid who grew up in the mid-1950s knew that afternoons were all about the Mickey Mouse Club, which is why it was chosen for the cover of the card in 1955. The opening of Epcot Center took center stage in the interior of the 1982 holiday card, which at the time was the largest construction project in the United States. 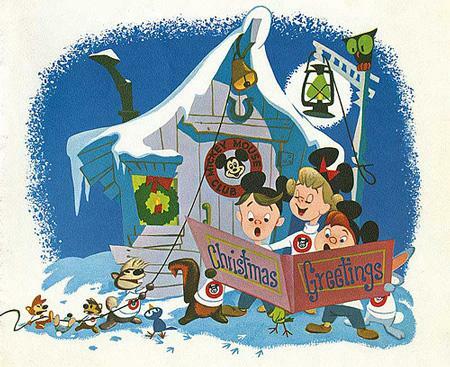 Although we no longer send these types of cards, we now give holiday greetings in other ways — from digital cards to special ornaments for employees. Happy Holidays!